Both new and returning families need to register into the system. Enter information used for the MPAC School Directory and MPAC communications and place your Hot Lunch orders. 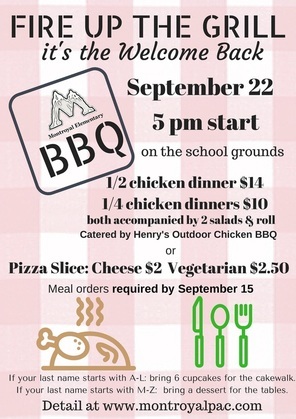 Order Hot Lunch by Sept 19th if you would like hot lunch delivery for Sept 27th. The system will remain open for order changes, additions and deletions up to 8 days before the affected lunch date. If you have not yet completed your welcome back forms (given to your kids on the first day of school), they must be returned by September 19, 2016. Orders for food tickets have now closed. Please click here to learn more about the event. Curriculum Night: Thanks for attending! Curriculum night was well attended last week, thank you for your participation! If you missed it but would like to learn more about the new BC curriculum, find it here. ​A big thank you to our Grade 7 child minders who did a great job watching the kids while their parents met the teachers. 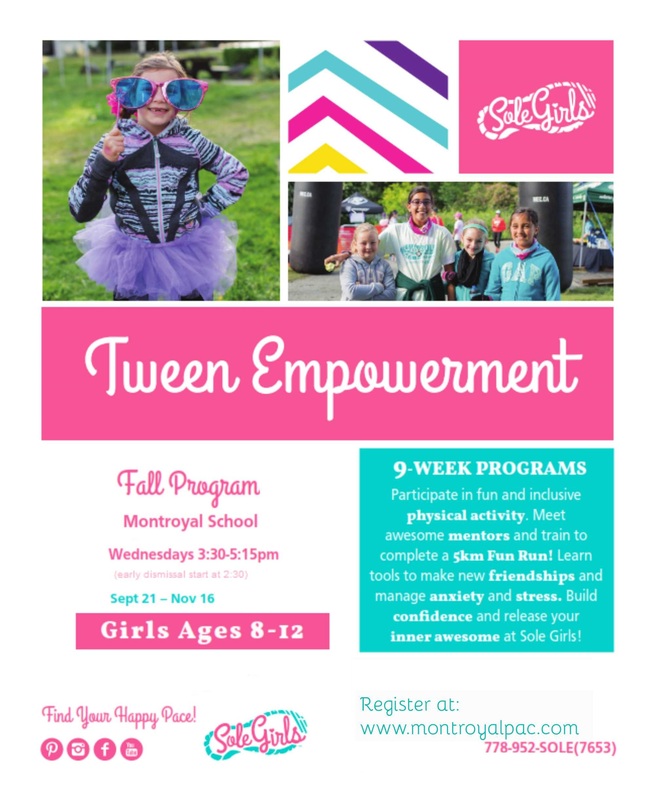 Sole Girls is empowerment through physical activity and mentorship. Girls will learn to build themselves mentally and physically to finish a 5km fun run. Register now. Spots still available. A few more Class Reps needed! Thank you to those that have volunteered your time to be Class Rep, the teachers are so appreciative. We now have all divisions filled with the exception of division 2 and our fabulous musical programs. Class rep duties include: sending communication to parents with upcoming events, gift organization, collecting funds and communicating all changes/cancellations in the schedule. Please contact: Jane Alpen for any questions or to volunteer. Please email Program Coordinator be placed on a waiting list. All students in Grades 4-7 are welcome to join. Choir will be held at 8:00 Thursday mornings in the music room beginning September 29th.